You are browsing the archive for Introduction. 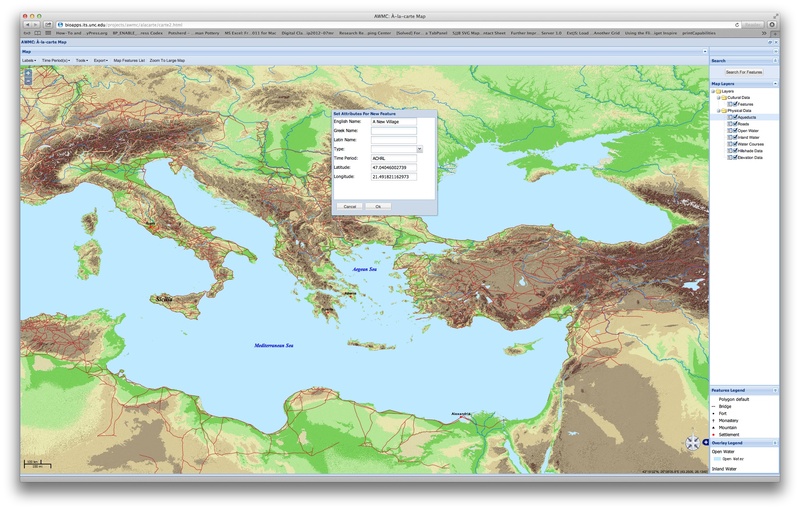 The Antiquity À-la-carte application is a web-based GIS interface and interactive digital atlas of the ancient world, featuring accurate historical, cultural, and geographical data produced by the AWMC in addition to the entire Pleiades Project feature set. The map is completely searchable with customizable features, allowing for the creation of any map covering Archaic Greece to Late Antiquity and beyond. AWMC welcomes feedback from community members on the experience of using the application and welcomes suggestions and comments. Click here or on the image above in order to launch the map application. This application works best with Firefox, Chrome, or Safari. All site content and maps are released here under the Creative Commons Attribution 4.0 International License (CC BY 4.0).